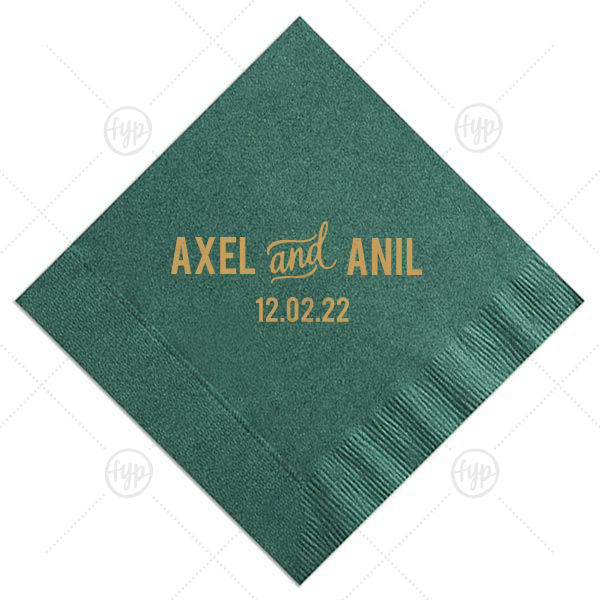 The ever-popular custom And Accent design wedding cocktail napkin from For Your Party is the perfect choice for your custom napkins. Customize your wedding cocktail napkins to complement every exquisite detail of your wedding day. You will love the way your personalized wedding napkins add a finishing touch to your wedding reception décor!